You see long lines of tiny marching soldiers carrying bread crumbs, sugar crystals, or wheat from your kitchen to their hidden tunnels? The cookies on your tables are moving, as ants try to steal them away from you? The honey jar is covered in ants and many got stuck inside the sticky mess? No, no, no! This has to stop. You stomp on them on the kitchen floor, spray them with chemical repellents, but they keep coming back like the pest they are. Nothing seems to work. Anyway, you can’t spray your cookies with chemicals to guard them against ants, can you? Also, you worry that the chemical solutions are toxic and may affect the health of your kids or pets. You feel desperate and don’t know what to do anymore. Please, somebody, anybody, tell me how to get rid of ants for good already as I can’t stand them any longer – I can hear you crying out loud. I am here to assure you that ants can be repelled with natural homemade remedies so they never come back in your house again. Ever. I’ve done it successfully and others have done it, too. You only need simple, natural ingredients that are cheap, safe, and non-toxic for your family, pets, and the environment. There are several types of ants: carpenter ants, fire ants, sugar ants, pavement ants, acrobat ants, pharaoh ants, and so on. Ants live in huge colonies and have a very well determined hierarchy. They appear during summer and especially when it rains. They attack your food, your house (wood, walls), your plants in the garden, and even you, leaving painful bites on your skin. They can be repelled with natural ingredients from your kitchen. Ants got you on the edge of desperation and you feel like throwing a bomb in your house to kill them? Good news, you don’t have to put explosive in your home. Just inside ants. How? Using baking soda and sugar. It doesn’t sound dangerous, does it? However, when ants will eat the sugar (that is a sweet bait for ants) and with it, the baking soda, the acid in their digestive system will react with the baking soda (think volcano) and they’ll… well… explode. Sorry, ants. You asked for it. 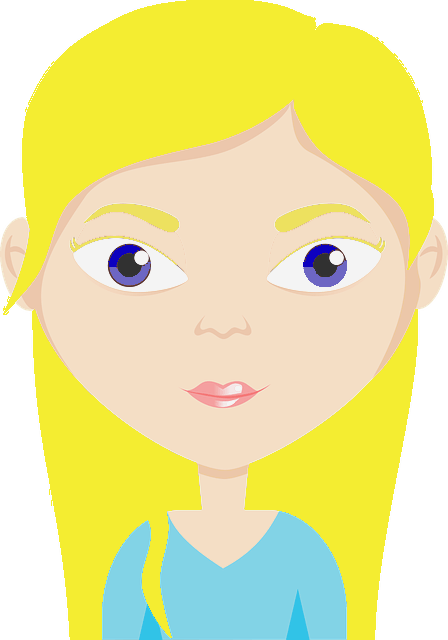 You would like to use boric acid, but you know it’s very toxic for kids and pets? Use Diatomaceous Earth instead. Well, it won’t make them explode (like baking soda), but it cuts through their exterior layer and kills them. Did I mention that Diatomaceous Earth is a natural ingredient, made from fossilized plankton, and it’s safe for kids, pets, and the environment? Make sure you get food grade DE, this is important. Unfortunately, you can’t call Chuck Norris to beat ants to death using some karate kicks (that would be awesome, right? ), but you can use Chalk instead. Yes, the white chalk you use at school to write on the chalkboard. That chalk. It’s simple, it’s natural (made of calcium carbonate), and it’s harmless. Yet so powerful as an ant repellent. Put chalk in your food processor and make a powder out of it. Then sprinkle it along the walls, close to their hiding place, around furniture. Ants will stay away from it. You can even sprinkle it in the garden. It is safe for plants, too. Or, you can release your inner child and draw chalk lines all over your house where you want to stop ants from coming. Ants don’t like the smell of vinegar, plus it wipes off the scent trail they leave behind that leads them back to the food. Your food. Thieves! Mix 1 cup of vinegar and 1 cup of water, then add the solution in a spray bottle. To make it even stronger, you may add 10 drops of Peppermint oil, Cedar oil, or Lemon oil. Spray along the walls, around windows and doors, around baseboards, etc. Make a larger quantity and mop the floor and tiles with it. For those of you who don’t know, ants have a very well developed sense of smell. When they find the food they like, they leave trails of pheromones that help them find the way back to it. However, there are scented substances that can interfere with this pheromone trails. Ants hate some smells and consequently avoid them. Hmmm… interesting, right? What smells do ants hate? Ants are repelled by lemon, peppermint, cinnamon, tea tree, clove oil and many others. Let’s see how you can use these essential oils for ants. A known insect repellent, lemon (and lemon essential oil) will effectively repel the ants in your house and it will make it smell great at the same time. Lemon Juice – Add 2-3 lemons in the food processor with 2-3 cups of water. Process until it is all blended, then strain it. Put the resulting liquid in a spray bottle and start spraying with it inside the little cracks where ants hide, along the walls, around your furniture in the kitchen, on the tiles… everywhere you’ve seen ants. Tip: Boost the lemony repellent’s power by adding 10-20 drops of lemon essential oil. Lemon Oil Spray – simply add 2 cups of water and 20 drops of essential oil in a spray bottle and do the same thing. Mopping Lemon Water – You can also make a larger quantity and mop the floors and tiles with it. Lemon Balls – Drip a couple of drops of lemon oil on cotton balls and place them inside your cupboards and underneath them to protect the food areas from ants. Lemon peels – place bits of lemon peels in strategic spots to keep ants away. Peppermint is a cool essential oil. And if you use it against ants, it will give them cold feet. They won’t come again in your house. Ever. Guaranteed. Wait, wait a minute. Does Peppermint essential oil repel ants? You bet it does. Cool Ants Down with Peppermint Oil Spray – add 20 drops of Peppermint oil in 2 cups of water and spray. Use this peppermint oil for ants especially at entry points, and even on the table. Peppermint Balls – place cotton balls infused with peppermint oil inside your cupboards, along the walls, and even stuck them in the cracks where ants are hiding if you can. This fantastic peppermint oil for ants will help you get rid of this annoying pest in a couple of days. Cinnamon is a delightful spice that is used in apple pies and cakes, in winter teas, and it also has antimicrobial, antibacterial, and antiseptic properties. Moreover, cinnamon is a natural ant repellent. Let’s cook ants a spicy repellent that they will never forget (and cross). Simply spread the power at the entry points (windows, walls, doors) where you see ants coming from. They will be deterred by the smell and won’t be able to cross over it. 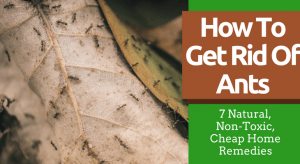 Since now you know how to get rid of ants using 7 natural, non-toxic, simple, and cheap remedies all you need to do is apply them. Don’t wait any longer, those little ants may be smuggling your cookies while you read these lines. How do you get rid of ants at home? Have any secret remedies to share with us? Tell us in the comments below.